An extra fine brush used for application of foundation and primer. 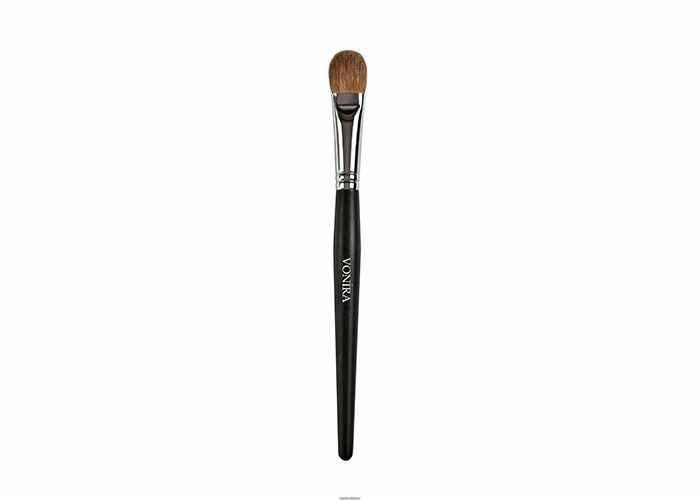 1.Silky sable bristles offer just the right amount of firmness for application. 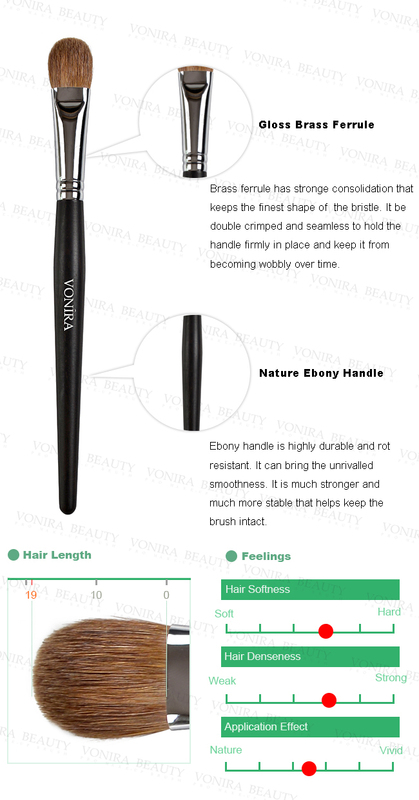 2.The density of the brush hair acts as a reservoir to hold and release the product. 3.Perfect to apply, buff and blend foundation into the feature focus area of the face. 4.The smaller size also make it suitable for blending blush, bronzer and concealer products. 5. Achieve a smooth "airbrushed" finish. 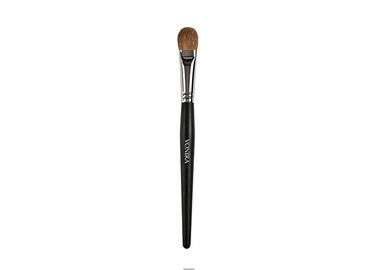 Sable makeup brushes have the best porosity for application of the most intense, truest form of color. 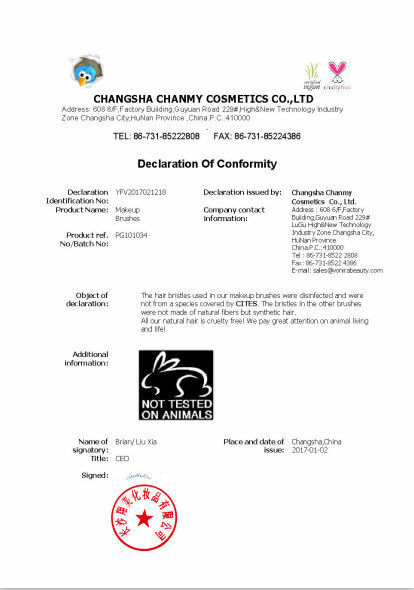 Vonira is one of the leading makeup brush manufacturers in China over 15 years, producing 500000 brushes monthly.Vonira beauty deisgns and creates a full line of high quality color cosmetics and professional beauty tools to the global professional beauty industry. 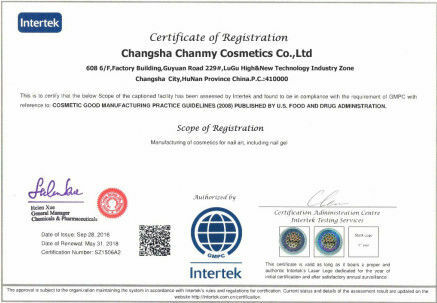 Vonira Beauty strives to be the first choice of our customers for color cosmetics and to create lasting relationships with our clients by helping them develop and launch a successful product line.